← Ruairi In a warm air breeze, the spoon mobile tinkles. Ruairi drinks from rain-water puddles. On the beach, a heron, in sea-drenched Tai ‘chi pose. There is sand on Ruairi’s nose. Clouds dash. Swallows dive. Wind gathers leaves. Ruairi follows the scent before sleep. In the dark filled quiet of the star shining night, the falling comes, in a dream-filled deep. A mussel shell, tightly closed, is only half of what it seems. 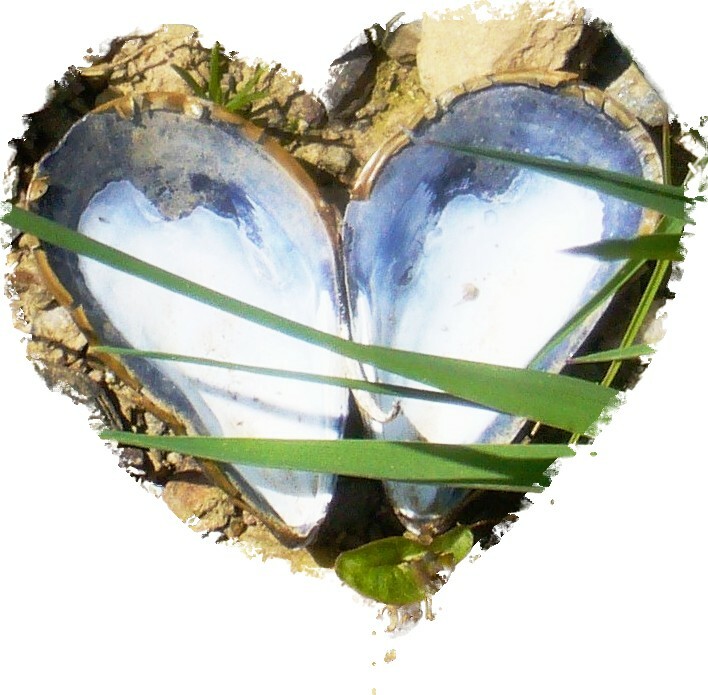 Is it a co-incidence that the open mussel shell, portrays a beautiful shining heart, the heart a muscle itself. This entry was posted in Life, Love and the Universe and tagged Shell Heart. Bookmark the permalink.